Take a look inside Drake's sneaker closet. Although Drake signed to Jordan Brand back in December, outside of a few OVO-exclusive 10s and 12s, we haven't heard much more about their partnership. But as seen in this photo, he's clearly been keeping up on his sneaker pickups - and not just from Jordan Brand. 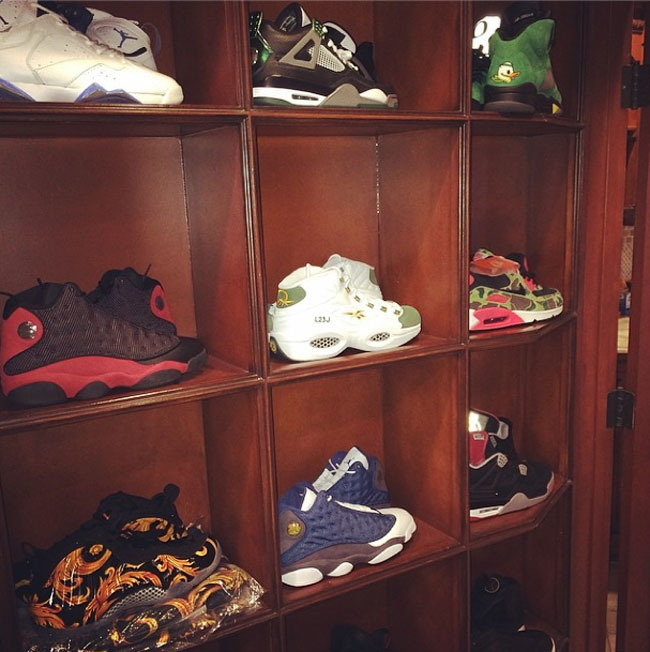 Last night via Instagram, Drake gave us a look inside his sneaker closet. And alongside some fairly standard retro Air Jordans, you'll see some ultra-exclusives, like U of O 4s and 5s, a pair of Supreme Foams and full set of gear, and even a pair of the recently released LeBron Question PEs. Let us know what you think of this preview of Drake's collection. Does it look like what you'd expect? Do you think we'll see anymore more from his Jordan Brand partnership soon?